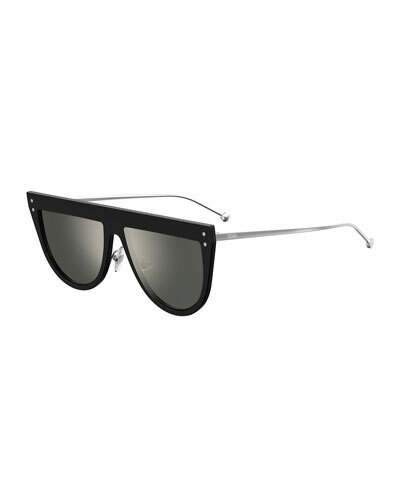 MCM cat-eye sunglasses in acetate and metal. Monochromatic lenses. Metal faceted temples with logo detail. Adjustable nose pads. 100% UVA/UVB protection. Made in Italy. Proposition 65 WARNING: Eyewear contains bisphenol A (BPA), a chemical known to the State of California to cause birth defects or other reproductive harm. Pared Eyewear "Kohl & Kaftans" cat-eye sunglasses in two-tone acetate. Signature OBE rubber-dipped screws for durability and longevity. 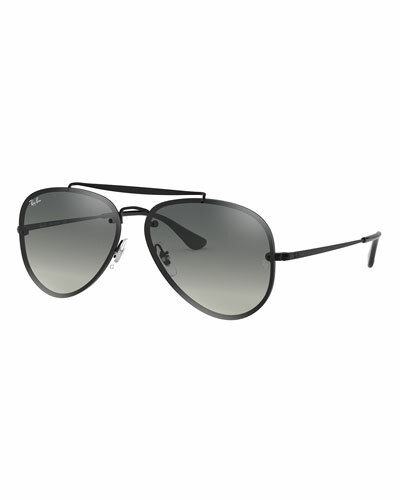 Square, gradient CR-39® lenses. Peaked nose bridge. Notched at temples. Contrast tips with "P" inlay. 100% UVA/UVB protection. Imported.